You really are what you eat and absorb, and that is the mantra we follow at Chi of Life weight loss and Wellness Health Retreat. Our focus is on Gut health, digestion and elimination. It all comes down to the food of life – the foods that nourish your body and your “chi” which is the energy of life, your life. At Chi of Life we don’t believe in quick fixes or fad diets, it all starts with good digestion and long term balanced diet that you can stick to realistically. For example Gwen believes chocolate can be good for you and feeling deprived of it will lead to binging. Eating ‘yummy’ food in moderation is the key to long term success! 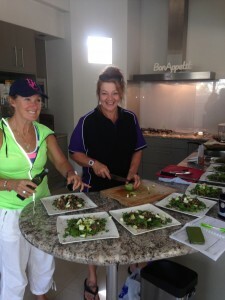 Gwen has brought a new approach to the weight loss retreat and wellness retreat – designing a weight loss and wellness program that empowers participants with knowledge about what healthy eating really means. Whether you want to learn about food and good health because of weight issues, illness, low energy, slow metabolism or just for you and your family’s health; Chi’s weight loss and wellness program is for you. Nothing else recharges our energy but the food that we eat. We cannot plug into a power point to recharge overnight like a mobile phone or lap top. Our energy only comes from the quality and balance of food we choose to eat. It is also critical to know what Metabolic Nutritional Type you are knowing this will allow you to select quality, whole food and organic food options that provide your body with the correct fuel mix needed to maintain a healthy metabolism. Chi of Life Weight Loss and Wellness Health Retreat only uses the highest quality fresh food, sourced from local organic farmers, produce markets and fisheries. 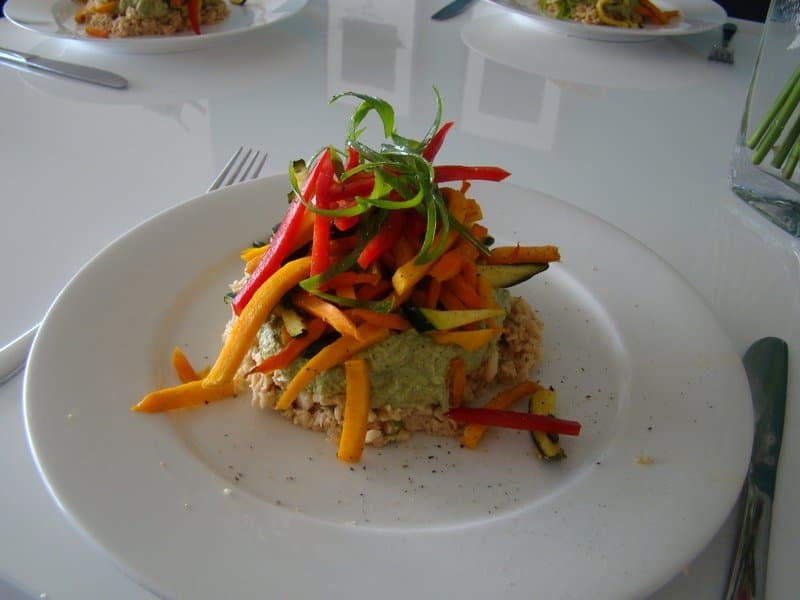 Our aim is to introduce you to raw living foods and include healthy cooked meals in your diet. Our expert chefs will prepare all your delicious gourmet meals incorporating a variety of meals – from macrobiotic to ayurvedic. You will have the opportunity to experience different ways to prepare meals and combine foods. Depending on your metabolic nutritional plan, meals for protein types will be high in protein and fats with no grains. Or for the carbohydrate types, meals will consist of low fat meals and large portions of vegetable carbs. Our meals are free of gluten, sugar, caffeine, wheat, artificial colourings and preservatives. Animal protein source includes fish, seafood, organic chicken, turkey, pork and red meat depending on your metabolic type. Special dietary requirements are catered for but it is important to notify us of this prior to your arrival, so that we can prepare for your arrival. We provide a set menu and cannot cater for individual preferences and different meal choices. Although we will try to accommodate with foods you dont like and allergies will be catered for. The living foods that we serve and teach you how to prepare are high-enzyme, chlorophyll-rich and easy to digest, so that your body can receive optimal nourishment. Meals consist of live foods such as young organic greens, sprouted nuts, seeds and grains, vegetables, and dehydrated crackers and snacks. These practical cooking classes are interactive and will take you through step by step the process of creating healthy, simple but tasty dishes. This is an invaluable part of the program that equips you with a good knowledge of how to incorporate fresh whole foods into a variety of uncomplicated recipes that you can take home to your friends and family. Along with the cooking workshop class you will be given workshop notes and recipe folder of all the recipes we use at the retreat. Learn how to make simple, yet wonderful, raw food and cooked recipes your friends and family will love. Learn how you can use the equipment and utensils you already have in your kitchen to make wonderful basic raw recipes; including power blenders, juicers, food processors etc. Learn about the benefits of superfoods, how to use them and how they can enhance your health to create a more vibrant and energised you! Learn healthy food planning, how to eat out at your favourite restaurants and best of all how to bring the program home and make it a part of your everyday life. Learn the differences between raw living foods and cooked foods. Understand the important balance of the pH and having an alkaline body and alkaline water. Learn how to prepare and freeze bases and add fresh foods when serving, for a quick nutritious meal at home. Learn how to prepare meals for your Metabolic Nutritional Type. Learn what to eat after exercise. Learn how juicing is the key to radiant health.